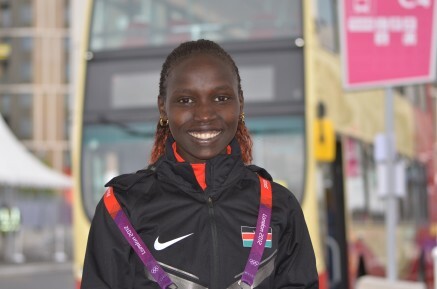 Sunday 23rd April 2017 – Olympic 5000m Champion Vivian Cheruiyot (KEN) made a very encouraging transition in to the world of marathon running as she made her debut in London on Sunday morning. Never was the phrase ‘jumping in at the deep end’ more appropriate as the race went out inside World Record schedule. Vivian passed halfway in 67:54 and yet still found herself in fifth place and over a minute behind the leader. From here on Vivian was in unchartered territory but she showed all the qualities and strength that make her such a champion to battle all the way to finish. Ultimately, she crossed the line in fourth position with a time of 2:23:50, a very satisfying return within a race that saw the women’s only World Record broken and 2 ladies running under 2:18:00.